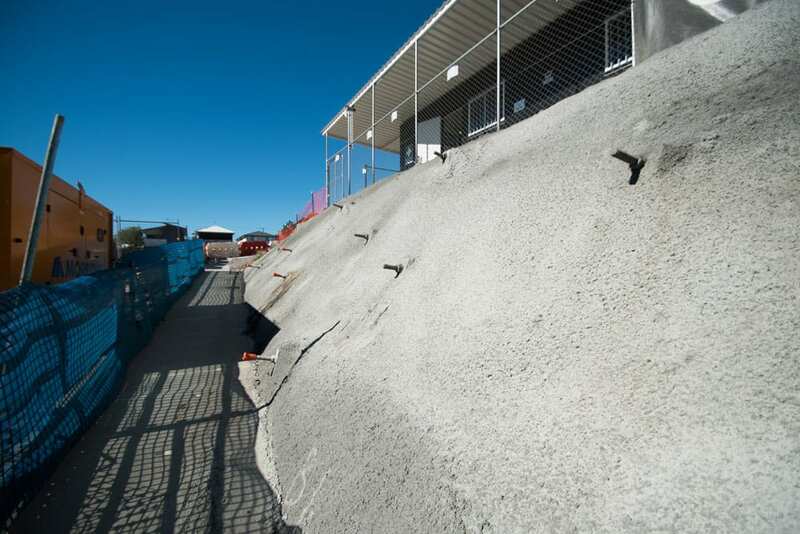 Evolution Shotcrete offers rock bolt installation. A rock bolt is a long anchor bolt, for stabilizing rock excavations, which may be used in tunnels or rock cuts. It transfers loads from the unstable exterior to the confined (and much stronger) interior of the rock mass. Rock bolts were first used in mining starting in the 1890s. Rock bolts were applied to civil tunnelling support in the US and in Australia, starting in the late 1940s. Rock bolts were used and further developed in 1947 by Australian engineers who began experimenting with 4m-long expanding anchor rock bolts while working on the Snowy Mountains Scheme.